Vikings is proud to announce that our long running summer camp of over 40 years will be returning this Summer! Registration is always open, we never run out of room. You can even show up Monday morning and get registered for the entire week right there! The camp runs Monday - Friday from 9am-4pm, although extended care is available from 8am-9am and 4pm-6pm for a small additional fee. Click here for directions to Beach Chalet! SFVSC has grown soccer players through fun-filled days of soccer skill-building and free play for over 40 years at our annual summer camp. Nationally licensed coaches, former professionals, and college players lead our camp with a special focus on child-and-player development through small-sided games. Camp-wide tournaments and innovative competitions build excitement for our young players each and every week. A goalkeeper trainer is at the camp for every session – all day – in case your child wants to try goalkeeping or improve goalkeeping skills. 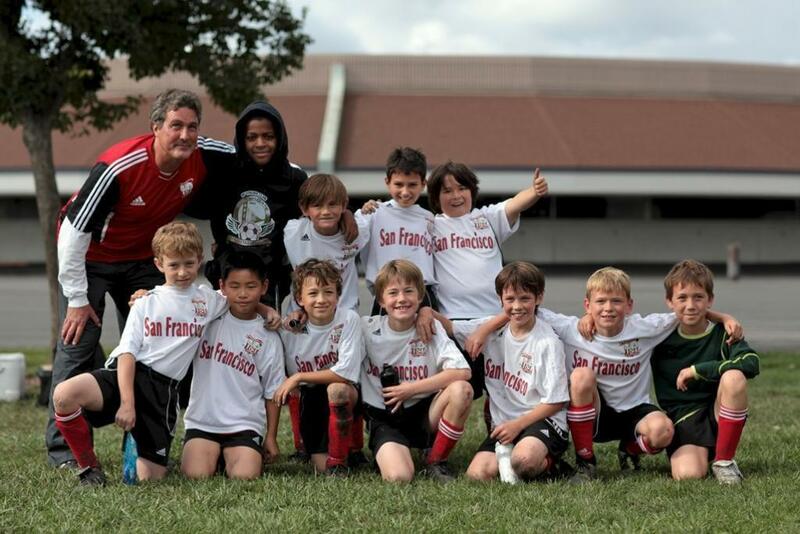 We specialize in coaching players aged 5 through 12, and the youngest players will enjoy unique playing opportunities and continuous attention from our coaches, while the oldest players will polish their skill sets in preparation for school and club play. 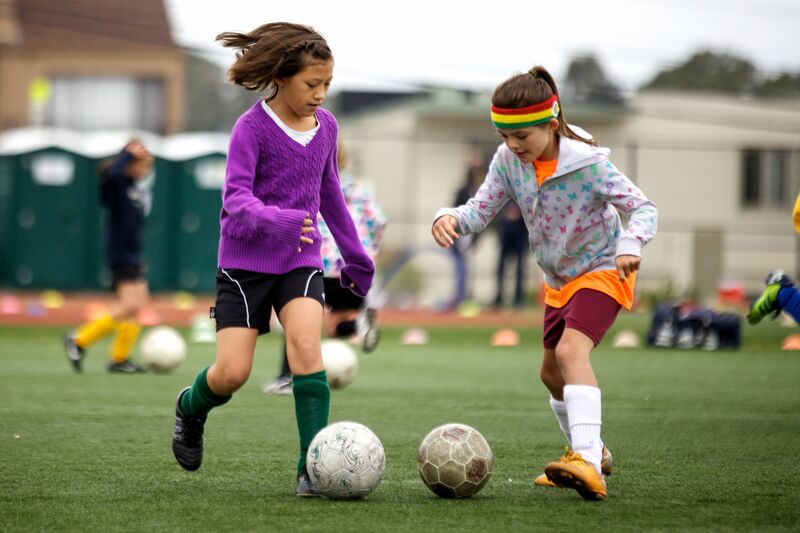 Our coaches ensure that players of every age and ability level will have fun learning the game of soccer. The low player-to-coach ratio enables the coaches to provide continuous attention and individual skills training. The camp also provides a variety of group exercises, small-sided games, and full field matches. Each player leaves camp with a shirt, soccer ball, and – we believe – a better appreciation of the "beautiful game" of soccer. All profits from the San Francisco Vikings Summer Camp support our scholarship fund. If you need financial aid for Summer Camp, the form can be found below. • Early registration discount is 10% if you register before May 15th. If you decide to move your session to another week then there is no fee. If you cancel completely there is a $30 admin fee. We have a limited budget for Summer Camp financial aid, and the sessions have a cap on the number of children who receive scholarships each session. Please complete the following form to see if you qualify. All items must be labeled with camper's name. "The great players come from the street because the ball becomes part of their lives. You have to give kids the same street conditions, which are to play, to practice, to try new things without stress. Three versus three is just like playing in the street: no coach's expectations, no stress." "Play is, first and foremost, an expression of freedom. It is what one wants to do as opposed to what one is obliged to do. The joy of play is the ecstatic feeling of liberty. " I have been playing, coaching and dreaming soccer all my life. My goal is to inspire this same passion in the next generation's players. Where I differ from other coaches and trainers is in my idea of how we develop that passion. Did the greatest players in the game develop their love of the sport through micromanaged technical sessions and uninspired cone drills? I don't believe they did. What I have noticed in four decades of soccer coaching and travel is that we in the United States take a different approach to the teaching of the game than the rest of the world. In the streets of Rio, Barcelona, and Amsterdam, children kick the ball around, invent soccer games, stop and start at will. They "own" their play and log thousands of hours of it — gaining touch skills, stamina, and game sense — before entering the kind of professionally coached atmospheres where specific tactics and techniques are actually "taught." 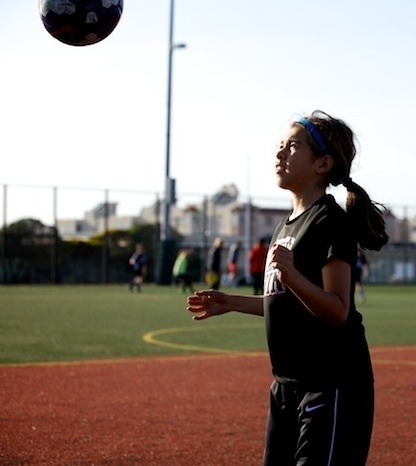 At San Francisco Vikings Summer Camp, players are introduced to the spirit of the sport with a wide variety of soccer games, soccer-like games, and free-form play. As the director of the camp, I hire a staff that is great at coaching children and adolescents, from A-licensed coaches to those with meaningful experience in child development. With their help, we develop a curriculum that plays off the energy of the players. Our focus is on the "small-sided game," with sets of rules that change, field dimensions that vary and goals to attack and defend that can be altered to enhance the learning of particular sets of soccer skills. It's a situational and efficient game-learning-based approach that we use in order to frequently recreate the use of a skill in a game that may occur infrequently under standard game conditions. In the morning sessions, when energy and attention spans are at their greatest, full concentration is on the game of soccer for all age groups for the full three hours. 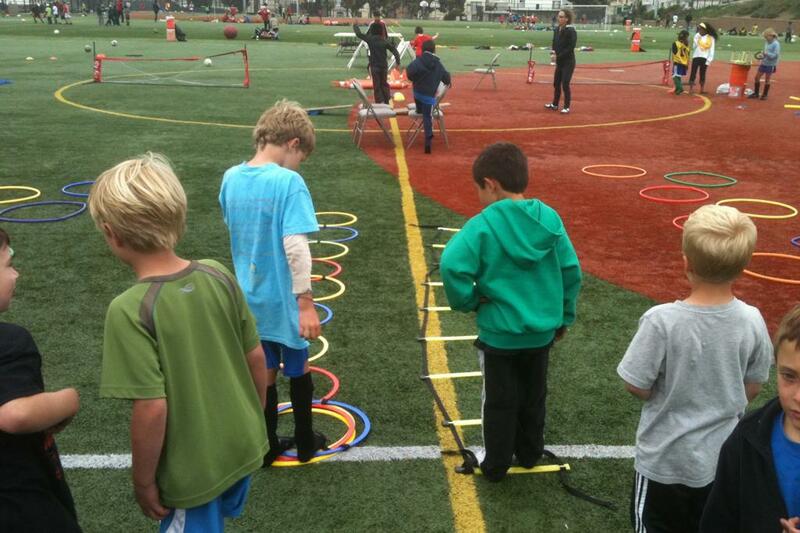 Lunchtime offers a full hour of unstructured but supervised play with all varieties of physical education equipment. In the afternoons, we engage the players in a variety of large and small competitions and games, including soccer, with new and variously weighted balls as well as tag games, obstacle courses and even gymnastics that, through novelty, re-spark their engines. The older age groups, who have more confidence, energy and attention, do continue to play the game of soccer for the most part throughout the day, advancing to games and scrimmages in the afternoon after technical work in the morning. What we excel at in this camp is inspiring the desire to play soccer while developing both skills on the ball and the kinds of strength and agility that will help keep players injury-proof for life.